Erie, Pennsylvania may be known for its notoriously rough winters, but there's so much more to the city besides snow and cold. The resilient folks that inhabit the area don't let a few feet of snow keep them stuck at home for long. Between the vibrant culture to explore and the many unique restaurants to enjoy, there's always something going on to entertain locals and tourists alike. It's easy to stay busy visiting the many native wineries and breweries, going to Seawolves games, flying through the air at Waldameer Amusement Park, and relaxing on the peaceful shores of Presque Isle. 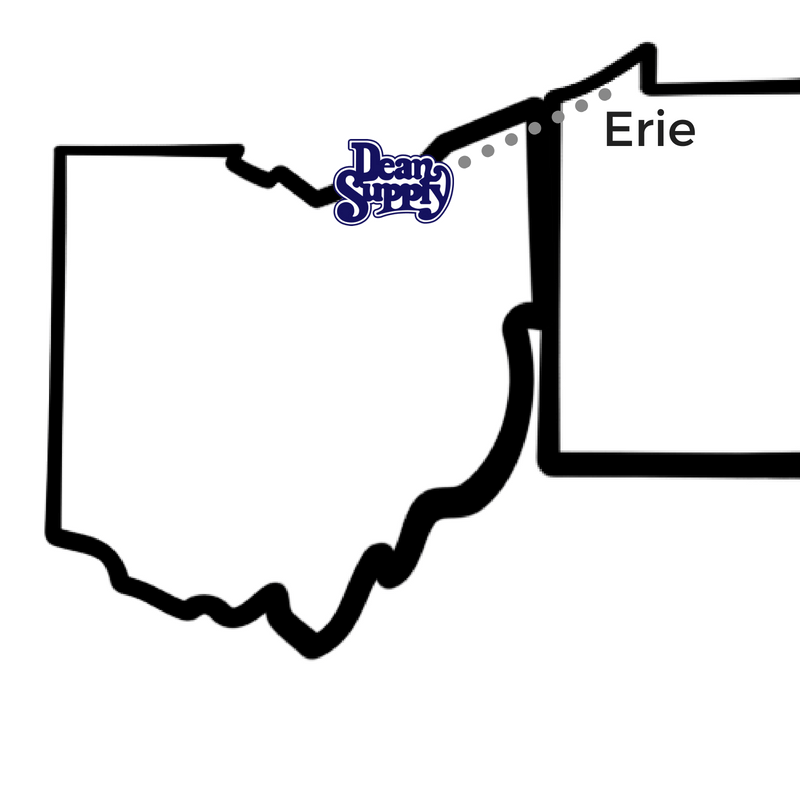 The short distance from our Cleveland warehouse allows Dean Supply to be the best Erie restaurant supply store for all the area eateries, bars, hotels, universities, and churches. You can find all the professional cleaning supplies, commercial dinnerware, bulk restaurant glassware, bar supplies, and everything else you need to run your business. With over 14,000 items always in stock, you can count on us to provide consistently fast and reliable shipping - in most cases, it only takes two business days! Dean Supply is the best kitchen store for Erie, PA! As your top provider of Erie, PA restaurant equipment & supply, we strive to deliver the best service to every customer from the very moment you discover all the great deals we have to offer. If you are opening a new restaurant in Erie, Pennsylvania, or you're looking to refresh your restaurant or bar equipment, the Dean Supply Reference Guide is the ultimate resource for you. It contains all the information on top brands from top manufacturers that are designed to help you run at your most efficient. No matter what type of kitchen supplies or commercial restaurant supplies you are looking for, we're here to help you get it right. Here at Dean Supply, we have a highly attentive customer service team readily available to answer your questions, help you make purchasing decisions or place orders on your behalf. Click here to see complete shipping-delivery services details.